David J. Daniels is the author of Clean (Four Way Books), winner of the Four Way Books Intro Prize, and finalist for the Kate Tufts Award and Lambda Literary Award for Poetry. He is also the author of two chapbooks, Breakfast in the Suburbs (Seven Kitchens Press) and Indecency (Seven Kitchen Press). 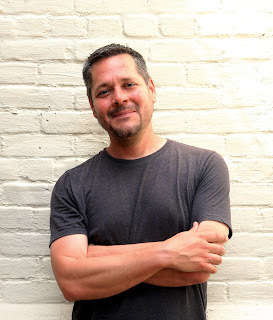 He teaches composition in the University Writing Program at the University of Denver and has received fellowships or scholarships from Kenyon Review, Bread Loaf Writers Conference, and The Stadler Center at Bucknell University.